In Episode 23 (S7) of The NoSleep Podcast, I perform in “They Were Wearing Masks” by Henry Galley with Kyle Akers, Peter Lewis, and Mike DelGaudio. In Episode 22 (S7) of The NoSleep Podcast, I perform in “Down in the Library Basement” by Rona Vaselaar with Jessica McEvoy, Erika Sanderson, Dan Zappulla, and Alexis Bristowe. In Episode 20 (S7) of The NoSleep Podcast, I narrate “Continuity and Equilibrium” by Henry Galley with David Ault. In Episode 118 of Far-Fetched Fables, I narrate “Black Baccara” by Jay Lake and Ruth Nestvold. Baccara is one of the dark ones from among the ranks of the Rose Knights who can hear the whispers of departing souls. This flash fiction piece is part of a series called Tales of the Rose Knights. 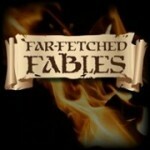 Far-Fetched Fables is a fantasy fiction podcast hosted by Nicola Seaton-Clark and is part of the District of Wonders. Listen to more stories narrated by Nikolle for Far-Fetched Fables.